Drawing from mostly Windsor Elementary School students, but some neighboring schools as well, we are Cub Scout Pack 132. We hold pack meetings once a month, on Fridays, at the First United Methodist Church on Euclid Avenue in Arlington Heights. 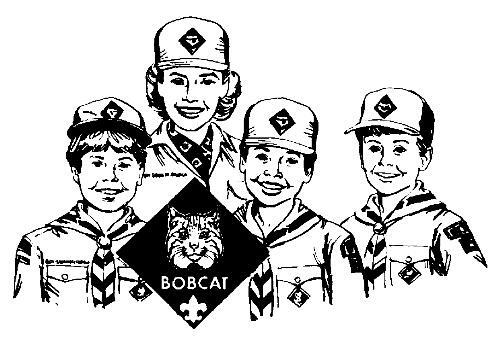 Our pack boasts of a dedicated number of den leaders and supporting parents that present our young scouts with the building blocks to forward their development as boys, cub scouts, and future boy scouts. Every activity is an adventure and we "do our best" to make every event as fun and exciting as we can. Please click on 'Contact Our Pack' above to request access to the site, or for more information. We invite boys grades 1st - 5th and their parents to join us..
Where? First United Methodist Church on Euclid Avenue in Arlington Heights..
Come hang out and see what we're about..
Below are a few short videos we would like to share.. Pack 132 is based out of Arlington Heights, IL. Pack Meetings are held monthly at the First United Methodist Church on Euclid Ave in Arlington Heights. Our scouts are drawn out of the Windsor Elmentary School and other nearby Elementary Schools. We have over twenty scouts registered each year. As a pack we have a fishing derby each May at Lake Arlington. We camp twice a year in the Spring and Fall and we participate in two derbies including the Pinewood Derby and a rotation of the Space Derby and the Raingutter Regatta.